Welcome to the first week of Ixalan previews. I've got stories to tell, people to introduce and a preview card to show off, so sit back and let's get started. Every other year, R&D has an all-day offsite where we talk about all sorts of things. It's tradition that in the morning we start with a few hours of 5-minute talks. The rules are simple. Any member of R&D can talk about any topic they want for 5 minutes. The talk is usually accompanied by a slide show. 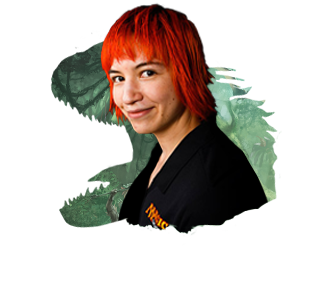 Ixalan started with Jenna Helland, the manager of the story team, standing up and giving a 5-minute talk about an idea she had for a new world. I'm not sure whether or not she actually started by yelling out "Vampire conquistadors!" but that's how I remember it. Her idea was a simple one. Imagine a world inspired by the Europeans travelling to the Americas with one small exception: the "Old World" visitors were Vampires searching for new blood. Other than the shard of Naya on Alara, we hadn't used Meso-American influences in a Magic set, and Jenna felt this would be an interesting angle from which to approach it. At this point, the set had simply two factions: the Vampire invaders and the natives, which were one singular group. Reaction to Jenna's proposal was very positive, so it got stuck into the "Maybe one day we'll do this" bin. These lists led us to mixing and combining things to come up with a list of new potential blocks we could do. We then went through them and evaluated the potential each one had. An Egyptian-themed world tied to Nicol Bolas? The players had been asking for an Egyptian-themed world for years, and the Bolas angle plays perfectly into the larger story the creative team wanted to tell. Magic's take on steampunk? Maybe there was a way to tie this to an existing Planeswalker. Return to Dominaria? We'd talked about this for years, but there were numerous issues to tackle. The 25th anniversary was coming up, though . . .
We spent some time talking about a Pirate world based on a concept from another creative team member, but we felt it wasn't deep enough to support a whole block. 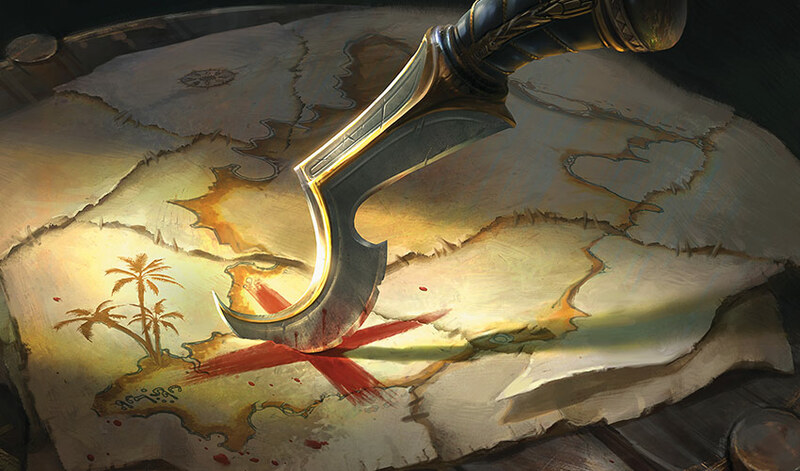 I knew that players were interested in Pirates, as Magic has never really delivered on them well (there were eighteen Pirates at the time, most of which didn't even have the word "Pirate" printed on the card), but this world just didn't seem to have enough substance to justify doing. Eventually, Jenna's world came up. I believe at the time the nickname for it was "Age of Exploration." The creative team had spent some time working on visuals for it and were convinced they could do something cool. Aaron Forsythe looks at me and asks, "Can you do something with it?" I replied, "I'll figure something out." The "Age of Exploration" world was tentatively put on the schedule, contingent upon me coming up with a mechanical angle for it. One of the things I like to do when trying to figure out how to approach a block is to look at whatever source is inspiring the design. So, I did a little reading and realized how much that time period revolved around resources. Exploration happened because countries were trying to find new worlds with resources they could use. Game design is all about resources, so I saw potential for an overlap. On the back of every Magic card is the word "Deckmaster." That's there because when Wizards first came up with Magic, they were excited by the potential of the new trading card game genre and wanted to make themselves the leader of the category. Deckmaster was created as a brand to represent all of Wizards of the Coast's trading card games. In the end, four games would become Deckmaster games: Magic, Netrunner, Battle Tech, and Vampire: The Eternal Struggle (originally released as Jhyad). All four were designed by Richard Garfield. Vampire: The Eternal Struggle was based on a roleplaying game named Vampire: The Masquerade and revolved around the political intrigue of a bunch of vampire clans. With Vampire, Richard made a slower, more political trading card game. In it, he used a mechanic called "the edge." It was a singular object that only one player at a time could control, but having control of it gave you additional power. This mechanic played well in a political game because getting the edge required taking it from the person who had it. As a game designer, I'd always been fascinated by the edge and noticed over the years that it was a device used by different games, often with tweaks, but with one constant: it granted some advantage, and only one player could have it, which forced players to fight over it. Perhaps the edge was the solution to my problem. It was something I had always wanted to bring to Magic, but I'd never found the correct environment. Maybe the "Age of Exploration" world was the right choice. One other thing bothered me about the world. The initial pitch had set up two factions. Both Battle for Zendikar and Kaladesh ended up with two-sided conflicts. I was interested in making this world feel a little different. Would the creative team be up to changing it to a three-sided conflict? Magic hadn't done that since Mirage, and even that wasn't communicated much through mechanics. So, I went back to Aaron and said that if I could have a three-sided conflict and use the edge, I thought it could be done. Everyone agreed with my request and it was officially put on the schedule. The creative team was on the hook to create a third faction, so they did more research on the source material. In the end, they came up with an intriguing answer. Pirates were very common during that time period. We had talked at the offsite about how players have been asking for Pirates and how a world with just Pirates didn't have enough support. What if we added in Pirates here? I, of course, was a big fan of this answer. Everything was coming together. I was excited—this idea just might work. We were about two months from starting exploratory design for Ixalan (codenamed "Ham") when Shawn Main came to see me. He was working on Conspiracy: Take the Crown. Because of the success of the first Conspiracy (and a desire to move Unstable away from Kaladesh, as both had a steampunk vibe—although taken in very different directions), Conspiracy: Take the Crown had been put on the fast track for 2016, and Shawn was the obvious choice to lead the design. He came to me because they only had two months left of design and they were having trouble finding a mechanic they liked. He wanted permission to explore an edge-like mechanic (what would eventually become the monarch mechanic). He knew I was interested in it for Ixalan, but he also knew that there were some in R&D who felt it was a multiplayer mechanic that wouldn't work in two-player games. The problem was that Ixalan exploratory design (where'd we figure out whether or not the mechanic worked in two-player) wasn't scheduled to start until after Conspiracy: Take the Crown design ended. I told Shawn to start exploring it in Conspiracy: Take the Crown. I was going to start up Ixalan exploratory design early so that I could test an edge mechanic in Magic for six weeks. That would let me know whether or not it was something I felt I could use for Ixalan. He needed to explore alternative designs in addition to testing an edge mechanic because if I found it was useful for Ixalan, he couldn't use it for Conspiracy: Take the Crown since a whole block would have priority over a supplemental set. But there was chance it worked in his set and not in mine, and I wanted to allow that possibility. So Shawn and his design team started doing their own investigation while I quickly put together my Ixalan exploratory design team and began testing. The Conspiracy: Take the Crown team came up with monarch and it worked beautifully. The mechanic lent itself ideally to both multiplayer play and the flavor of the world. Meanwhile, the testing of the exploratory design team also showed great promise. The give and take worked just as well with two players as it had worked with many. When Shawn and I met up after six weeks, I told him that I was going to use the edge in Ixalan and that he was going to have to use another mechanic. But Shawn and his team hadn't found another mechanic that was anywhere near as good as monarch. He didn't have another viable option and there were only two weeks left of design. Losing the edge threw Ixalan design into disarray, but we still had all our exploratory design time (remember I started early to test out the edge) and all of our design time. We'd have over a year to find a new solution. Conspiracy: Take the Crown got its monarch mechanic and Ixalan had to start from scratch. Normally when we begin exploratory design, I have a general sense of where I want to start looking, but the recent activities had thrown all my pre-planning out the window. I turned to the creative team to try to understand what excited them about the world so that I could try to capture that in the gameplay. I also had been doing some research into a three-sided structure. I started to understand why we hadn't really done one before. It's hard to create something that both feels balanced and has enough depth. As I experimented with three factions, I was reminded of something I had done in early Khans of Tarkir design. Each color shows up twice with two two-color factions and two three-color factions. The color that doesn't show up in either two-color factions shows up in both three-color factions. I liked the mix-up in that it was both aesthetic and new. So I went back to the creative team (you'll see that this was an ongoing theme for this set) and asked if we could try the 2/2/3/3 four-faction version. This meant the creation of a new faction. Everyone agreed that the Vampires and Pirates were working well, so it was decided that they would split the remaining group, the one native to the world, into two groups. This ended becoming the warriors and the elementalists. The warriors would be the trained fighters equipped with weapons. The elementalists would be shamanistic, using elemental magic. For color assignment, we started with the Pirates. It seemed clear that they made sense in blue, black, and red so we decided to make them one of the three-color factions. The vampires, reflecting how the creative team saw them, wanted to be white and black. We knew white Vampires were a little quirky, but they did a great job of capturing the creative team's vision of Vampires who have turned to a staunch religion to lead them in their time of crisis. As all this was going on, the creative team had sensed some nervousness about the world. It was clearly the most experimental of the upcoming worlds, and the mechanics being still unknown wasn't helping. To increase excitement about the world, the team had been doing some exploration of what they could add to spice it up. The world already had a bit of a lost-world vibe, so the addition of Dinosaurs seemed like a perfect fit. The idea was that the Dinosaurs would be external to the factions. The more we played, the more I realized that we were making a tribal set. The defining quality of each group rested in their creature type, so we started making cards that mechanically cared about the different creature types. 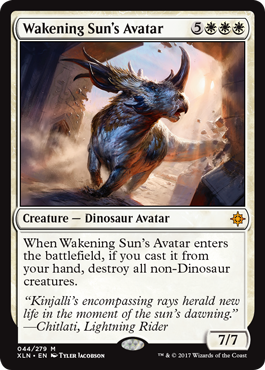 Once we started down this path, there was a strong draw to start making Dinosaur tribal cards. A quick aside. When we introduced Dinosaurs, there was some discussion on whether or not they were supposed to have the creature type Dinosaur. 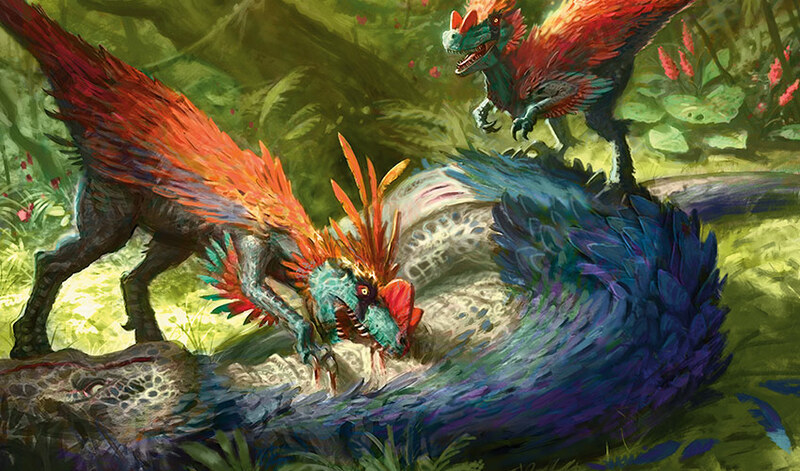 Magic has had a sprinkling of Dinosaurs in the past, but at the time it wasn't a supported creature type. I, along with others, argued strongly that our dinosaurs should be Dinosaurs, and it didn't take long to get everyone on board. We played with this combination for a while, but something was bugging me. It turns out the same thing was bugging Ken, my co-lead designer. Everyone wanted to play with the Dinosaurs, but we had put them in one of the smaller factions so there wasn't as much room for exploration. The stars of the set were clearly the Pirates and the Dinosaurs. They were the two tribes that players were clamoring for that we'd never really delivered on. Yes, the Vampires were cool, but we had done so much Vampire tribal over the years that they weren't as special as the Pirates and Dinosaurs. Also, while the Warriors were okay, they were clearly the least exciting tribe mechanically. So yet again, we went back to the creative team. (I'm hoping this article shows how flexible and hard-working the creative team is.) We needed the Dinosaurs in three colors. This, of course, led to the question of what colors are Dinosaurs supposed to be? Clearly green is the number-one choice. Number two was a little trickier. It was either red or blue. And that is how we ended up with our final incarnation of the factions. But that, my friends, is just the beginning of our tale. Unfortunately, for that you'll have to wait for Part 2. Before I go today, I wanted to introduce the design team and show you my preview card. I'll start with the designers and end with the Dinosaur. Before I introduce you to the team, a quick word that there's a lot of people about to get introduced. The reason there's so many wasn't because the team was particularly big at any point during the design, just that there was a lot of flux due to other projects going on. Ken just celebrated his tenth anniversary at Wizards. 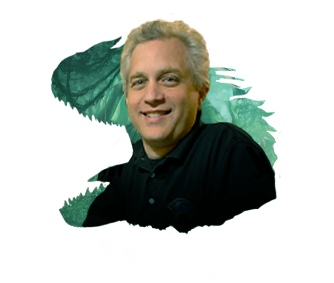 In that time, he has led the design for eight projects—Worldwake, New Phyrexia, Commander (2011 Edition), Return to Ravnica, Born of the Gods, Fate Reforged, Eldritch Moon, and Ixalan—and served on many more design and development teams. This was my first time co-leading a design with Ken. Gavin is currently a member of the project architecture team. (Once again, I have an article coming this fall to explain all these new things.) 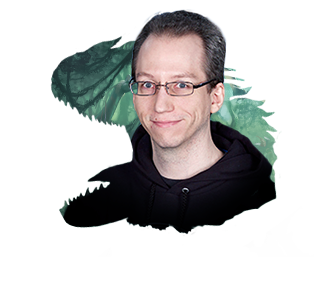 He led the design of Archenemy: Nicol Bolas and Commander (2017 Edition) and has served on numerous design and development teams. Jackie has served on numerous design and development teams. She first came to notoriety playing on the Pro Tour. She has a good blend of design and development sensibilities. James Hata's full-time job for many years was working on Duel Masters, a trading card game we make exclusively for the Japanese market. From time to time, we borrow him to work on Magic design teams. He's always a pleasure to work with. 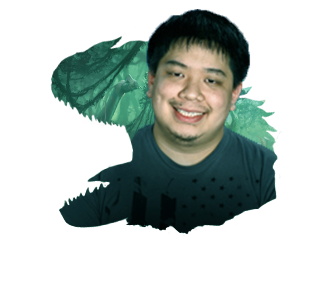 Ixalan was James Sooy's first Magic design team, but you wouldn't have known that from seeing his designs. He was a firehouse of ideas and contributed a lot to the set. 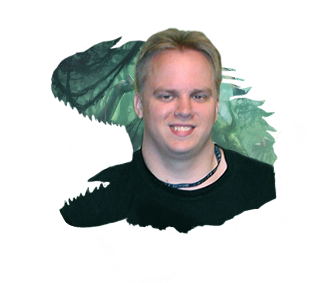 Mark started working at Wizards as a Magic editor. 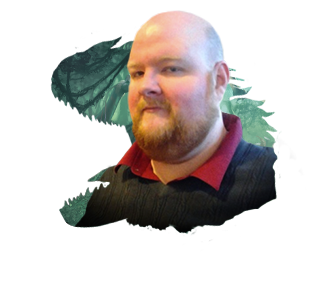 He has since worked as the rules manager, a developer, and a designer. Today he is a manager. 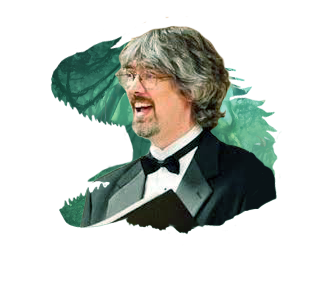 He led the design for Mirrodin Besieged, Gatecrash, Commander (2013 Edition), Dragons of Tarkir, Shadows over Innistrad, and Aether Revolt. 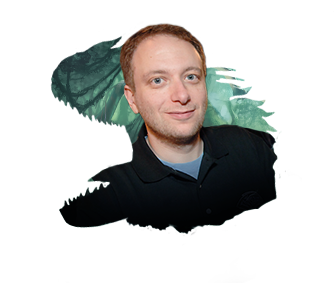 He also led the development of Planechase (2012 Edition). Mark doesn't get to be on as many teams as he once did, but it's always a pleasure to have him. 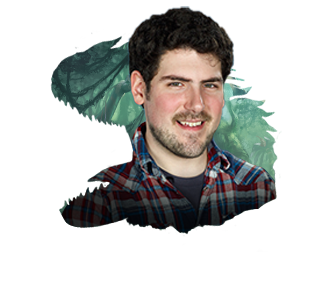 Sam was both one of our development representatives and the lead developer for Ixalan. 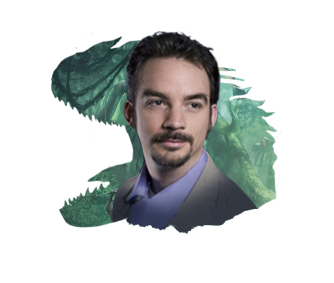 He led the design for Modern Masters 2017 Edition and the development for Magic Origins, Eldritch Moon, and Ixalan. Sam is great at cutting to the heart of what's not working with a card or mechanic. Shawn came in second in the second Great Designer Search. He led the design for Conspiracy (which he also created), Magic Origins, Conspiracy: Take the Crown, Kaladesh, and Hour of Devastation. Shawn has a great eye for finding new ways to approach design challenges. Yoni was another development representative. 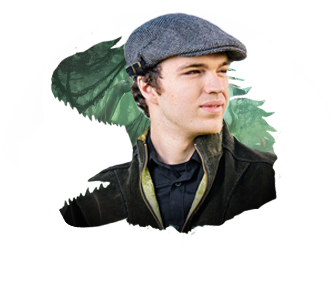 He has been on numerous design and development teams, including Battle for Zendikar, Aether Revolt, and Amonkhet. Yoni is great at getting to the heart of what makes something tick. 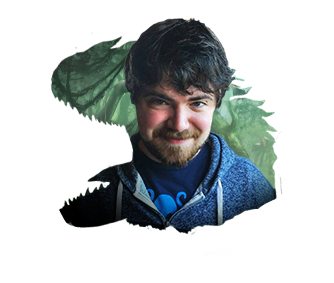 James was the creative representative for Ixalan. This was his first design team in that role, and he did a wonderful job. Since I show up in so many bios, why don't I tell you something about myself I haven't mentioned before. I was once on a game show—Trivial Pursuit with Wink Martindale, to be precise. Ixalan was a lot of fun to work on. With the bios out of the way, it's time to finally show off my preview card for the day. We wanted to start big and splashy, so what better than a Dinosaur? Without further ado, I would like to introduce Wakening Sun's Avatar. A little something for your Dinosaur deck. Okay, a big something. That's all I have for today. As always, I'd love feedback on the column or any aspect of Ixalan that I talked about today. You can send me an email or contact me through any of my social media accounts (Twitter, Tumblr, Google+, and Instagram). Join me next week when I'll continue my story of Ixalan's design in Part 2. Until then, may you appreciate the dedication and hard work of our creative team.